I have always loved Valentine's Day. I feel like it gives a shot of colour into what can be dull time of year. Winter always feels like it is going to last forever and Valentine's Day breaks up the monotony for me. Hubby and I went out for supper with Miss. E in tow. We don't have any 'fancy' restaurants in the area, but I still like to dress up. I copied this outfit from Caroline's blog Un-Fancy. When I saw the outfit I fell head over heels for it and knew I had to try to replicate it. My shirt is fairly similar. 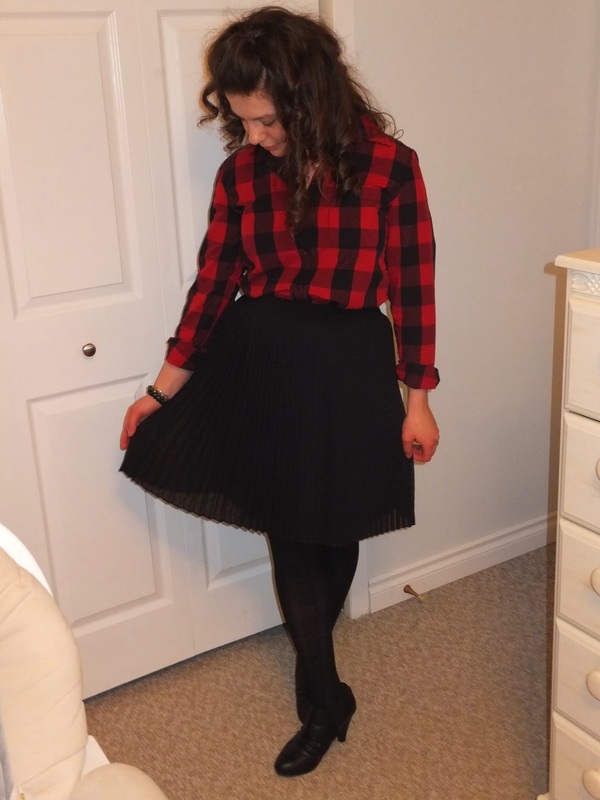 I used a shorter skirt, however, as the midi skirt did not look good on my frame. 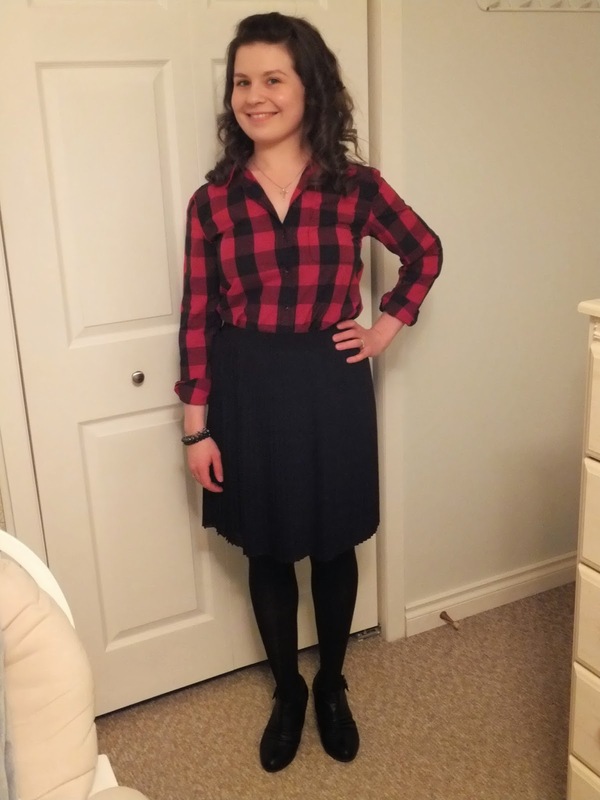 Both my shirt and skirt are from Joe Fresh. Thank you so much, Caitlin! I appreciate it! Thanks for stopping by!